Modern cars have thousands of parts all working together to make sure it operates as the manufacturer intended. With that, a vehicle is just as strong as its weakest link. In the case of Subaru, a P 400.00 part is now responsible for a global recall of more than 400,000 units—including those currently running in the country. Likely to gain notoriety in the future, Part # 13217AA521 or the Valve Spring will possibly fracture under stress. 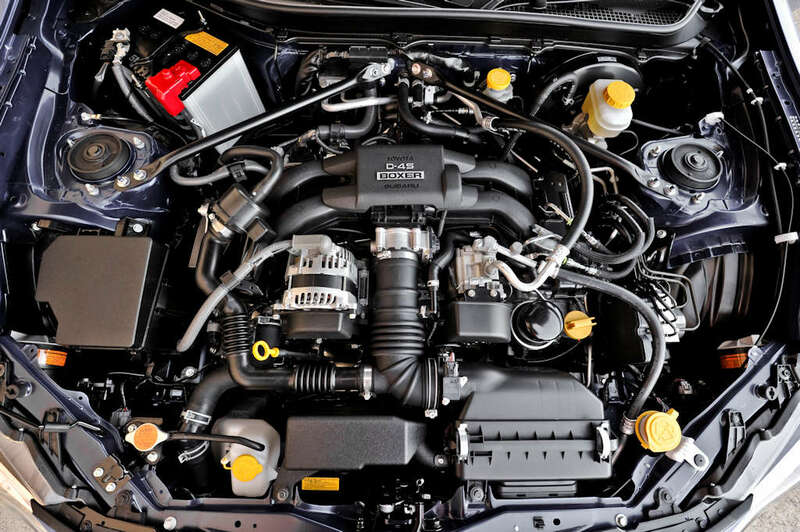 According to Subaru themselves, an abnormal noise may be observed from the engine and in some cases, it may cause the engine to stall and be unable to restart. Now, before you try throwing your valve spring in disgust, here are some Frequently Asked Questions (FAQs) about this particular recall which should shed more light into this matter. 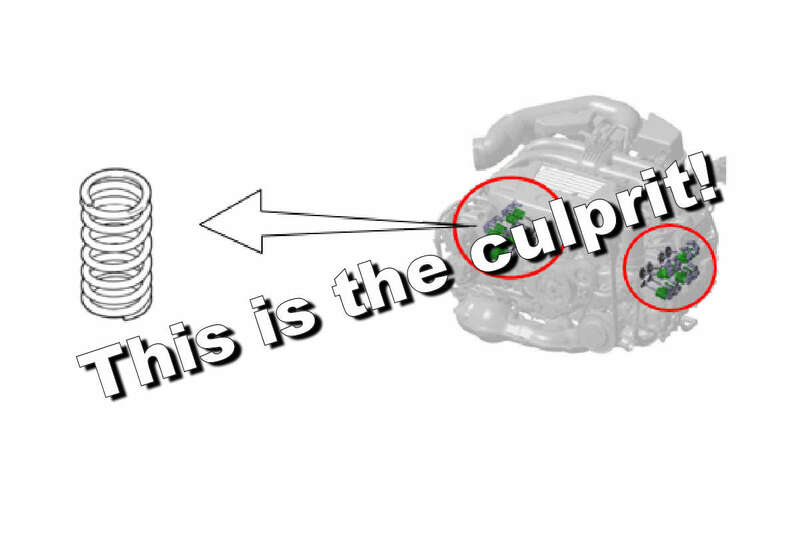 What is the recall about and why do they need to replace valve springs? According to Subaru Corporation, the recall is to replace engine valve springs which could possibly fracture under stress. When this occurs, an abnormal noise may be observed from the vehicle’s engine, the engine could stall, and be unable to restart. Will my vehicle experience valve springs failure? As advised by Subaru Corporation, Motor Image needs to do a recall to ascertain that all affected vehicles are checked. Please contact your nearest servicing dealer and provide your Vehicle Identification Number (VIN) and they will check if your vehicle model is affected by this recall. How do I check my vehicle’s VIN number? Currently, I own a vehicle involved in the recall campaign. Do I have to wait for a notification letter from Subaru before I can bring my vehicle in? Yes, Motor Image’s Customer Service Department will be reaching out to owners of the vehicles affected by the recall. Should your Subaru Vehicle be a pre-owned one, we also recommend contacting any of the Motor Image Pilipinas hotline numbers at (02) 882 9788 local 102; (0925) 711 8475 or (0917) 851 4095. When will MIP start recalling affected vehicles? As of this moment, Motor Image Pilipinas is working with Subaru Corporation to coordinate the arrival of parts. Once this is clear, they will start to inform customers about when they can bring in their vehicles. Will the process involve a full engine pull-out? Motor Image Pilipinas cannot confirm the extent of work involved at the current moment as they are still getting information from Subaru Corporation. An update will be sent out once they receive more details. Do I have to pay for the rectification work if my vehicle is involved in this recall campaign? No. This service will be performed free of charge. How much time is required to complete the job satisfactorily? Motor Image is unable at this point to confirm how long it will take to conduct the rectification work as we have to assess every customer’s car and will update each customer accordingly. Editor’s Note: If the Australian market is used as a gauge, the work will entail somewhere between 10-12 hours per vehicle. Will this process be warrantied? Yes, a 1-year warranty or 20,000-kilometer warranty (whichever comes first) will be provided after the work has been completed. If your vehicle has undergone modification outside of Subaru Specifications, do I still have to undergo the Recall? Yes, for all affected recall vehicles, Motor Image will have to perform the recall work as per Subaru Corporation’s Job Description. However, they cannot be responsible for any malfunction caused by the incompatibility of the original Subaru parts with non-standard parts which may have been part of any modification work. Any malfunction or performance issues which arise after the recall campaign shall be the responsibility of the customers who have modified their vehicles. Alternatively, owners of modified vehicles can revert their vehicles to original factory specification before sending them in for the recall work. For the customers who will not allow us to do the recall campaign because they have replaced their valve springs with aftermarket parts, Motor Image will be requesting them to sign an indemnity form.